Ciona Rouse, with The Porch writers collective, composes "poetry on demand" on a vintage typewriter. 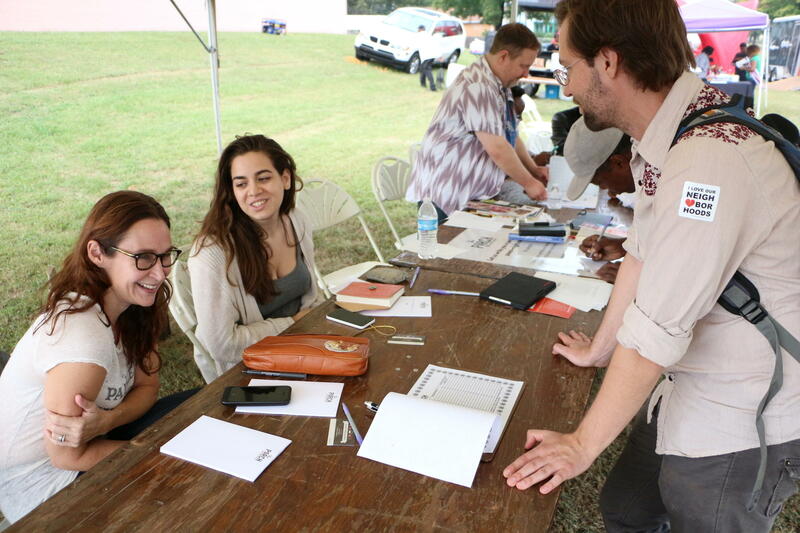 A group of writers hangs out at events, including this weekend’s Southern Festival of Books, and quickly writes poems based on stories shared from passers-by. Whoever wanders up answers a few questions and then the poets go to work. 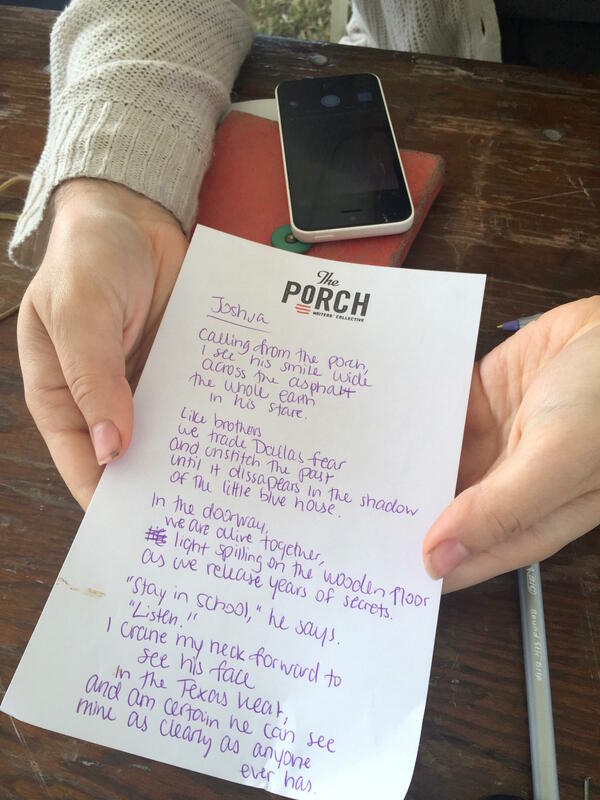 It’s a new endeavor for a Nashville writers’ collective called The Porch, which typically hosts workshops, retreats, and readings. But with this interactive project, they often come across fresh material. Like Susannah Felts, a co-founder, who heard one family’s adventure while renovating an old home in 12South. “So this story was about the dad of the family was up on the roof, repairing the roof or working on it, and he fell through,” she said. Being put on the spot is the challenge and the reward for the poets. They’ve heard from kids, listened to a man who grew up in Detroit loving Motown music, and got a confession from a woman looking for love. And then there was the yarn spun by East Nashville Baptist pastor Napoleon Harris. He shared the story of getting into his first fight as a child while growing up in Cleveland. His parents taught him not to, and other than play-wrestling, he didn’t have a clue what a fight was. Gabriela Garcia shows her quickly written poem, "Joshua," based on an interview with an 8-year-old boy. Poet Joshua Moore loves the story and sees universal themes. When such a story surfaces, Moore takes a little more time. 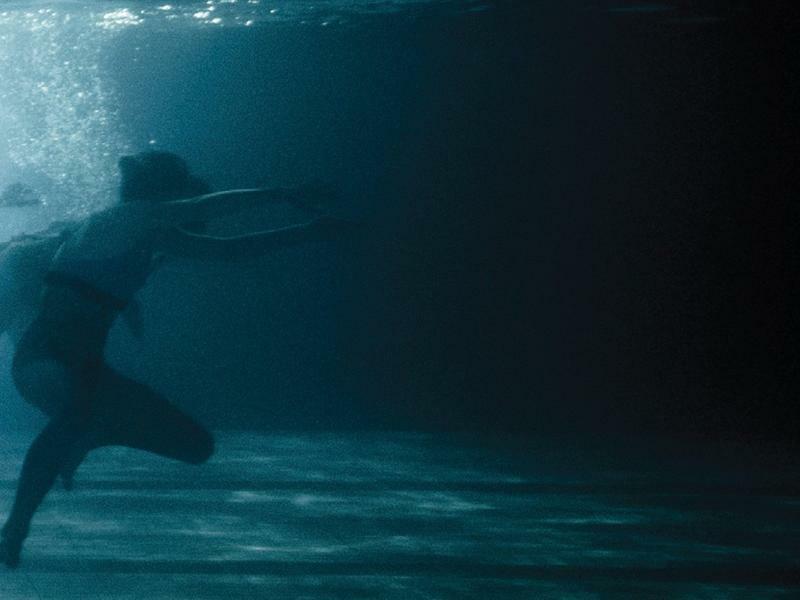 Listen to "Learning To Fight," and the poet's reflections on the process of writing it. Harris isn’t bothered when the poem doesn't immediately get handed to him. He marvels at how quickly the writers bring shape to a story. Harris said he went away with the beginnings of a real connection with some of Nashville's poets. Porch writers collective co-founder Susannah Felts (left) and Gabriela Garcia composed "poetry on demand" at the Celebration of Neighborhoods. For the first time in more than a decade, the Frist Center for the Visual Arts is putting together a major exhibition of Islamic art. Organizers hope it'll widen Tennesseans' conception of art from the Muslim world. "Ink, Silk & Gold" has been three years in the making. It includes more than 100 works from the Museum of Fine Arts in Boston. Nashville’s most expensive — and tallest — public art piece begins to rise Monday next to the Music City Center. While the project brought criticism on the Metro Arts Commission, officials say they’re now about to be vindicated. Last year, a poet arrived at the end of the earth: Jynne Dilling Martin spent six weeks, funded by the National Science Foundation, living in Antarctica. She spent the summer (winter, to those of us in the Northern Hemisphere) shadowing scientists as they went about their work, and writing about the people who call the icy continent home. Nashville’s annual month-long arts celebration, called Artober, is taking a turn toward the reflective this year. In addition to encouraging performance groups and galleries to program special events all month, the Metro Arts Commission has charged a handful of writers and musicians with creating pieces inspired by the city’s public art.